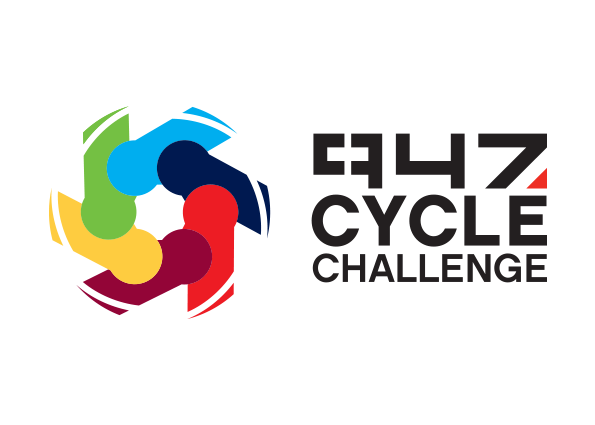 Cycling used to be a men’s sport with not many women involved, but over the past few years the Telkom 947 Cycle Challenge has been actively welcoming more and more women to the event and the sport. Over 20% of our entrants are already women and we want you to #lovecycling, and join them in 2017! Covering a distance of at least 94.7 kilometres on a bicycle might seem a bit daunting, but getting fit enough to do it will lift you and your body to a whole new level. You might be nervous that you don’t have enough time to do this, but you don’t actually have to spend as many hours on the bike as it will take on race day, in your training sessions. Going for spin classes in the gym might feel as if it is very different but if you don’t set the bike on low resistance and cruise, then forty-five minutes count. Pedalling hard makes for high intensity training, which is a very efficient way to lift your fitness level, and even just doing this three times a week will make a big difference. While doing some long rides to get endurance will help to make you more confident and comfortable on the bike, it does take time. You might feel as if your work and family duties don’t leave enough time to do this, but they can all benefit from the stronger body and calmer head that endurance brings. Stand your ground; you should do things for yourself too, once in a while. Safe road cycling is often a concern, and the Cradle of Humankind to the west of Johannesburg offers lovely smooth tar and clearly marked two-metre wide bike lanes. This is not only a safe place to ride, but also offers some hills and turns to get used to. While the men in your life might want to manage your cycling progress, riding with other women is something worth trying. Men have at least 10% less body fat and more muscle mass and testosterone, which means they might not have to work quite as hard as you do. Riding with another woman potentially offers more honest competition, but also someone who understands some of the experiences that are unique to women cyclists. Riding in a group can add pleasant distractions with people to watch and talk to, but also peer pressure as you try and keep up. This is a good thing to experience before Cycle Challenge Sunday. There will always be someone faster than you, and getting quicker and stronger is a temptation, but getting used to setting a pace that will work all the way to the finish is sensible. One of the best ways to keep calm over the whole distance is to divide the route into at least five sections, and then just focus on finishing them one at a time. With a few short, steep climbs towards the end, the current route can bite. Try to maintain a steady pace on the flat sections and downhills and don’t push yourself too hard up the climbs; this is a surprisingly efficient way to pace yourself sensibly. If you can’t pedal and have to walk up up a climb, don’t beat yourself up. Instead of feeling useless, think about the distance you have already covered, which is almost certainly longer than what lies ahead. It may also be a good idea to feed your body some carbohydrates, just in case you’re running a bit empty. Walking is slower than riding, but it will certainly get you to the top of the climb. One last bit of advice, regarding what to wear – don’t let the crazy costumes worn by super-experienced two-lap, fatbike, singlespeeders etc. fool you. The reason why padded lycra shorts and proper breathable cycling shirts with pockets on the back are popular is that they are comfortable and a good idea. While knee length cycling pants are often described as winter kit, they are not too hot to wear if you feel self-conscious about showing too much leg. Wear what works for you.